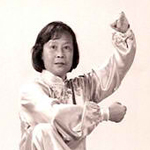 Master Wen Mei Yu has been teaching Chinese Martial and Healing Arts for over forty years. 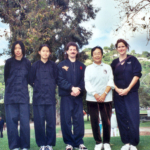 She was recognized as Top Instructor in Taijiquan in the Wushu division of China in 1983. Former professor at Jin Wu Athletic College and former General Secretary of the Shanghai Physical Culture Association for the Elderly, Master Yu has trained with some of China’s top Masters of Taijiquan and Qigong. At age 17, she was diagnosed with a bleeding ulcer. At that time Eastern as well as Western Medicine was ineffective in her cure. Her family and friends urged her to try Qigong, which she did, and since that time she has devoted her life to the study of the healing methods and practice of Taijiquan and Qigong. As a competitor she won many tournaments in China and the United States. She also received numerous awards including the “Award of Excellence” presented to her by the National Women’s Martial Arts Federation. Master Yu annually sponsor a friendship tour to China to gather knowledge of various internal martial arts styles and forms. She has had extensive interviews with important Chinese Grandmasters and Masters. She preserves and spreads this precious knowledge in her teaching and writing. She has published more than 30 articles in the Inside Kung Fu magazine. She is currently working on several books as companion pieces to her previously released videos. She was recognized as 1994 “Writer of the Year” and as 1997 “Woman of the Year” by Inside Kung Fu magazine. Her personal care, attention to specifics, and desire for her students to succeed make her one of the world’s leading authorities of Taijiquan and Qigong and the science of why and how these arts are effectively learned. Master Yu is a treasure in the internal arts world, not only because of her knowledge, but also because of her care and devotion. She not only wants her students to benefit and succeed, she encourages them to go beyond her level and knowledge of these arts. Master Wen Mei Yu is a Master Instructor of Chinese Internal Arts of Qigong and Taijiquan. Master Yu began Qigong training in 1953 in Shanghai when, at age 17, her bleeding ulcer was not treatable by Eastern or Western medicines. 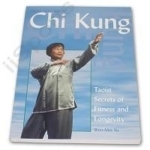 Her life has since been devoted to studying and teaching the healing methods and practice of Qigong and Taijiquan. Gu Liu Xin, student of Great Grandmaster Chen Fake, the first Chen family member to publicly teach the Chen system of Taijiquan. Fu Zhong Wen, husband of Yang Cheng Fu’s grandniece. Yang Cheng Fu’s teacher is Yang Jianhou, son of the Yang style’s creator, Yang Luchan. Wu Ying Hua, daughter of Wu style Taijiquan’s creator, Wu Jian Quan. Ma Yueh Liang, son-in-law (husband of Wu Ying Hua) of Wu style Taijiquan’s creator, Wu Jian Quan. Zhou Yuan Long, teacher of the government sets, Simplified Taijiquan, Taijiquan 88, 48, and 42, and Chen style Taijiquan. Guo Ling, creator of Guo Ling Qigong, a system designed to overcome cancer. Yang Mei Jun, considered one of the greatest exponents of the Taoist Dunlun School. Zhao Jin Xiang, Creator of the Soaring Crane System of Qigong. Shifu Marquez demonstrates under her banner the Jian Mei Taiji.